Andrew Macintosh is an Associate Professor at the ANU College of Law and is Acting Director of the Australian Centre for Environmental Law. 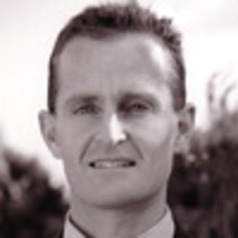 After graduating from Sydney University in 1997, Andrew worked as a solicitor at Mallesons Stephens Jacques and later at Minter Ellison, where he was a member of the firm's environmental and planning practice. Later he tutored law at several colleges at Cambridge University. Prior to joining the ANU College of Law, Andrew was Deputy Director of The Australia Institute and has previously worked as an environmental advisor to the Australian Democrats. Andrew has been the Associate Director of the ANU Centre for Climate Law & Policy since 2007. He is also a fellow at the Australian Centre for Environmental Law and member of the ANU Centre for Climate Economics & Policy, ANU Climate Change Institute and ANU Energy Change Institute. He teaches postgraduate Australian Climate Law and Commonwealth Environmental Law and supervises both PhD and Honours students. Andrew's research focus is on the interaction between law and economics in environmental policy.